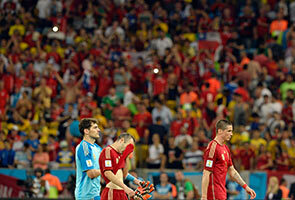 RIO DE JANEIRO: Spain became the fifth holders to be eliminated from the World Cup at the first stage after their 2-0 defeat by Chile at the Maracana on Wednesday. 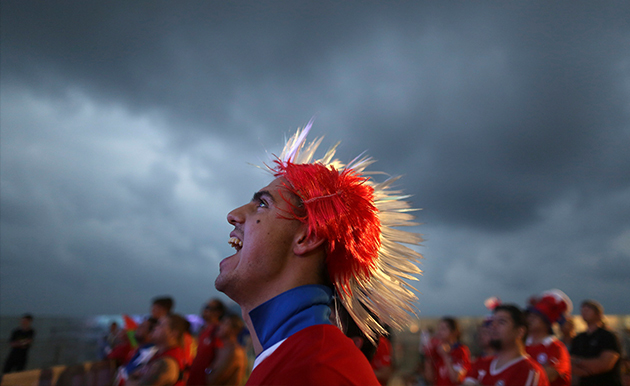 Here AFP Sports looks at five reasons why it all went wrong for the holders in Brazil. 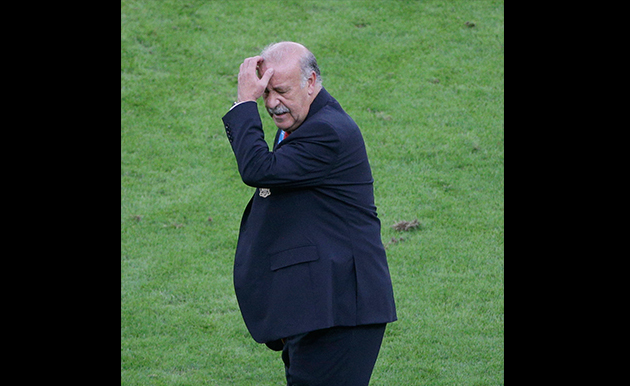 After the 5-1 defeat against the Netherlands, coach Vicente del Bosque was forced to react and chose to drop both Xavi Hernandez and Gerard Pique, replacing them with Pedro Rodriguez and Javi Martinez. However, it would appear that the rejuvenation of the Spain squad should have begun sooner. A player like Atletico Madrid midfielder Koke, full of energy and desire, was introduced to the side too late. And the decision to keep faith in Iker Casillas proved to be a mistake. The captain of the great teams of the recent past he may be, but he has not been playing regularly for Real Madrid and Del Bosque has enough alternatives in the goalkeeping department, even in the absence of the injured Victor Valdes. If the fingers of blame are being pointed in his direction, Casillas might respond by saying that the defenders in front of him deserve criticism too. After all, Spain's success in 2010 and at Euro 2012 was based first and foremost around their watertight defence. The inspiration of Carles Puyol has been missed. Pique and Sergio Ramos worked in the past as a centre-back pairing, but not this time, and Javi Martinez did not prove to be the solution against Chile. Against both the Netherlands and Chile, Spain came up against sides playing unorthodox formations and couldn't cope to the extent that seven goals were leaked in two games. Once Del Bosque had persuaded Diego Costa to represent his adopted country rather than his native Brazil, it was inevitable that the Atletico Madrid star would have to be brought into the starting line-up. However, Spain have not done enough to help the bruising centre-forward fit into their style of play. He needs balls into space if he is to have an impact, but too often he appeared utterly marooned against Chile and their three central defenders. He looked ill at ease too, and Brazilians unhappy that he snubbed the Selecao greeted him with loud jeers both in Salvador and in Rio de Janeiro. 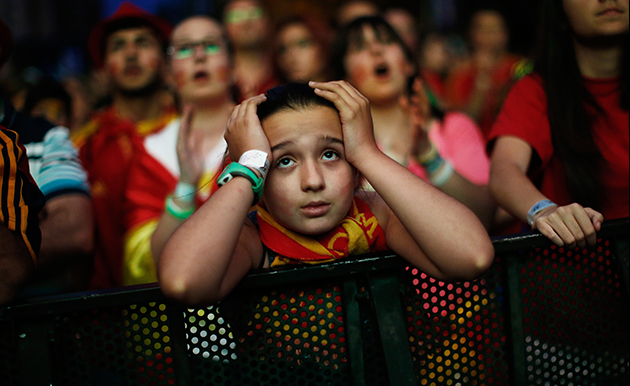 In general, Spain have been guilty of keeping too much faith in a system that worked so well in past campaigns. La Roja's way of playing has been built around the Barcelona way that delivered them so much success under Pep Guardiola. But Barcelona's recent fall from grace and the way in which Guardiola's Bayern Munich were ripped apart by the pace and power of Real Madrid in the Champions League semi-finals in the spring have indicated that the days of 'tiki-taka' may be numbered. Again on Wednesday, Chile's pace and pressing unsettled Spain, forcing them to regularly mis-place passes and preventing them from holding possession, their forte in the past. It was always going to be a challenge for a European nation to win the World Cup on the American continent, something that has never happened before. 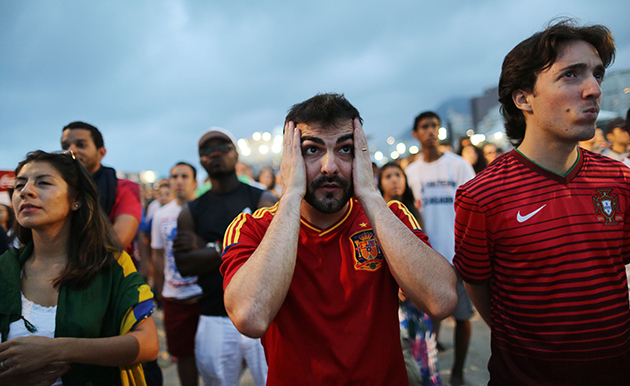 The beginning of the end for Spain came at the Maracana a year ago, where they lost 3-0 to Brazil in the Confederations Cup final, and the decline has continued. Every South American side in this World Cup has received formidable backing from their huge travelling supports. Spain's 5-1 loss to the Dutch left them needing a result against Chile, but the majority of the Maracana crowd were behind Jorge Sampaoli's side, making it like a home game for them.